I know-- another sugary treat, but I wanted to share this one before turkey day in case anyone is looking for something new to place on the dessert table. I recently made this pie for a Sunday dinner and it was definitely a crowd pleaser. What I like most about this pie is that it is not overly sweet or filling, making it a perfect ending to a Thanksgiving day feast. This recipe if from the current November issue of Food & Wine. 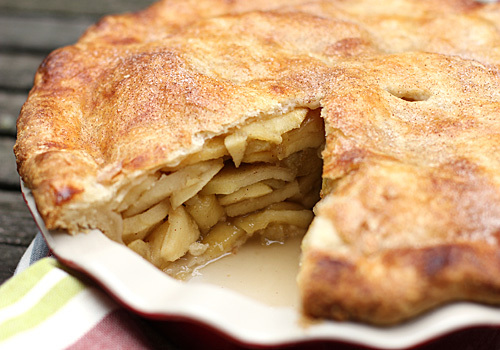 I didn't change it much, but I did use my favorite pie crust and substituted apple cider for water. I also used a bit of brown sugar in lieu of granulated sugar and put some vanilla in the whipped cream topping. Garnished with a few dried apple slices and a sprinkling of cinnamon sugar, this is a seasonal pie that delivers the flavor while staying a bit on the lighter side. I will certainly be making this again and again. In the bowl of a food processor, combine the flour, sugar, and salt with a few 1-second pulses. Add the butter and shortening and process until the mixture just starts to come together and resembles coarse meal. Scrape down the sides of the bowl and pulse to combine. Sprinkle the vodka and cider over the flour mixture and process just until the dough comes together. Turn the dough out onto a sheet of plastic wrap. Using the corners of the plastic wrap and the back of your knuckles, press the dough into a 4-inch disk. Wrap in plastic wrap and refrigerate for at least 45 minutes or up to 2 days. Adjust oven rack to lower third of the oven and preheat to 425º F. On a lightly floured work surface, roll the dough to a 12-inch circle. Ease the dough into a 9-inch pie plate by gently lifting edge of dough and lightly pressing into the bottom of the pie plate, leaving at least a 1-inch overhang. Fold the overhang under itself; folded edge should be flush with the edge of pie plate. Flute or decoratively crimp the edge. Refrigerate until cold and firm, 30-60 minutes. 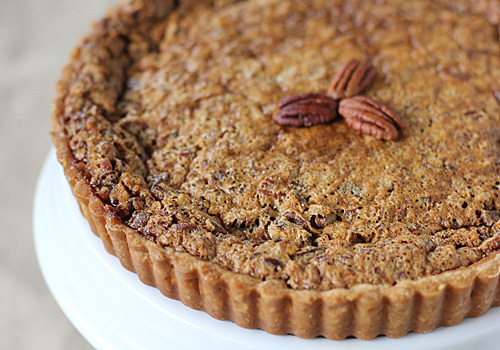 Line the crust with a sheet of parchment paper and fill with pie weights or dried beans. Bake until the crust is barely set, about 15 minutes. Carefully remove the parchment and weights. 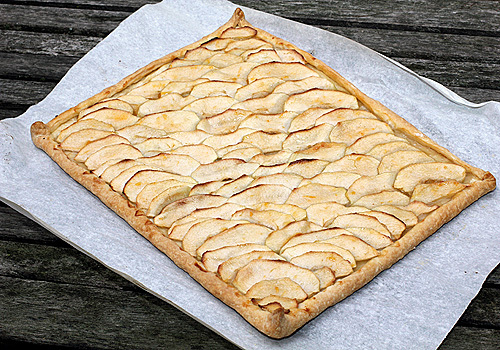 Cover the edge of the crust with a pie shield or strips of foil and bake until set, about 15 minutes more; set aside to cool (do not remove shield or strips). Lower the oven temperature to 350º F.
In a medium saucepan, boil the cider until it is reduced to 1/2 cup, about 10-15 minutes. Transfer the cider and let cool slightly. Whisk in 1/2 cup granulated sugar, 1/4 cup brown sugar, sour cream, and salt. Add the eggs and whisk until smooth and completely combined. Keeping the shield or foil strips in place, pour the custard into the pie shell. Bake until the custard is set around the edge, but the center is still slightly jiggly, about 35-40 minutes. Transfer the pie to a wire rack to cool completely. 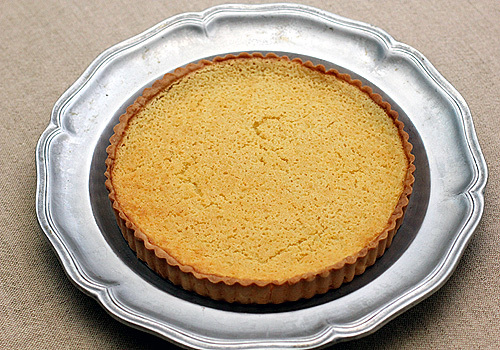 (The cooled pie can be refrigerated up to this point in the process for 2 days). In a medium bowl, beat the cream, remaining 1/4 cup sugar, vanilla extract, and cinnamon using a whisk or a hand held mixer until soft, but firm peaks form. Mound the cream onto the pie. Garnish with dried apple slices and sprinkle with cinnamon sugar. Refrigerate until ready to serve. Enjoy! This looks very interesting! Wonder what would happen if cinnamon extract (so you wouldn't have specks) was added to the cream filling. Would love to have a surprise at the Thanksgiving table. That is a wonder since I have never used cinnamon extract:) I imagine if it is as powerful as other extracts, then a little would go a long way. Oh Nicole, this is beautiful! It's funny because I was just looking through Food and Wine and saw this lovely pie - I though it was so.... pretty but yours is even prettier! It sounds fabulous! Nicole, what a beautiful pie, and I love the sound of it...absolutely perfect for Thanksgiving. That sounds so yummy; I'm definitely going to have to try it! This is so different than all the pies I see this time of year - I love the sound of this. Your picture is gorgeous, too! 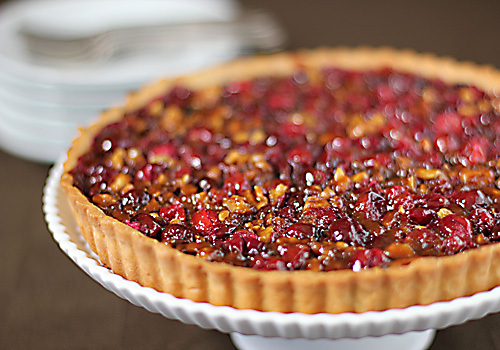 always looking for something different for thanksgiving and this looks great! This looks so good! I want to eat this RIGHT NOW!!! Wow. Stumbled onto a picture of this on another site and had to find out what this beauty was. 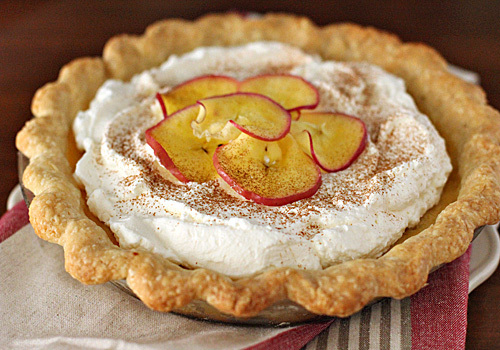 This is one of those awesome pies that are as delicious as they are pretty. 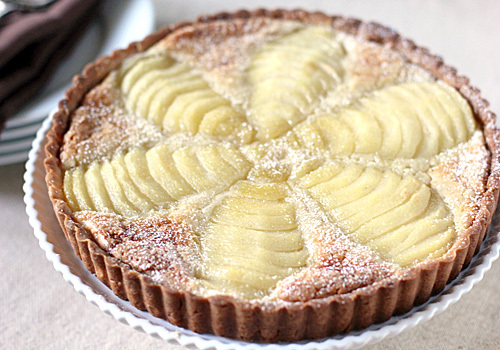 I wondered if this pie had too much sugar (what with the cider and all), but it turned out to be just sweet enough. 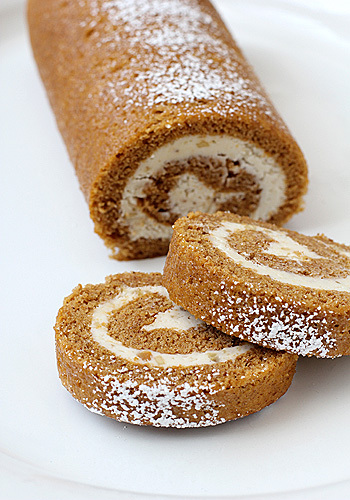 This made for a wonderfully light Thanksgiving dessert. Thank you so much! Thanks for sharing! I am so pleased it was enjoyed.